Although generally known for discussing unexplained mysteries and hidden histories of many kinds, in recent years I have found myself giving seasonal presentations with the above title in an effort to inspire some meaning back into a festival that deserves perhaps more respect than it is sometimes given in these cynical times. Everyday folk complain of financial and commercial pressure, while alternative types talk darkly of social conditioning and mind control. But I believe Christmas deserves some kind of rehabilitation. Christmas has a longer and deeper history beyond the reach of modern cynicism. It is a festival that is hardwired into us. The festivals once gave important structure to our civilisation, and their diminishment has perhaps diminished us too. Yet, for Westerners, regardless of religion, Christmas is the one that has somehow retained its scale and key place in our busy schedules, continuing to joyfully disrupt normal life once a year. There must be reasons for this. For all the modern grumbling about the stresses of the season, the ancients didn’t mark the ascent from the lowest point of the sun’s annual journey for nothing, and the symbolism of light-in-the-darkness still has currency today. 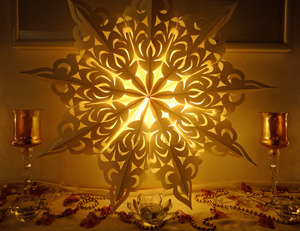 Every little plastic light twinkling amongst the decorations in essence represents our star, and the return of its warmth in northern climes. Stars have always been an inherent part of the Christmas story. There has been much debate over the origins of the star that guided the wise men, for instance, men who were plainly astrologers. Most scholars agree that the most likely candidate for the Christmas star would have been the very close Jupiter-Saturn conjunctions of 7BC. This would have been seen in some quarters as highly portentous, and the beginning of some kind of new era. The traditional placement of the wise men in painted nativity scenes – two together and one apart – may even represent the three planets which would have been visible in the sky in 7BC, with Jupiter and Saturn close together and Mercury as the loner. Others have equated the ‘three kings’ (although they only become ‘kings’ in descriptions from later centuries) with the three stars in the belt of Orion. There are many potential layers of astrology and astronomy buried in the Nativity story, with other echoes going back even further, to the earlier Madonna-and-child mythology of Isis and Horus. In terms of its celebratory nature, the Roman feasting times of Saturnalia and Kalendae, celebrated respectively in December and January, plainly influenced the path of the later Christmas festival, which in itself was superimposed onto the 25th December birthday of the God-man Mithras. The celebration has undergone many changes over the years since, absorbing other cultural festivals along the way, not least the originally Germanic and then Viking feast of Yule (Jol). Many of the British traditions that still remain in at least basic form, such as ‘Wassailing’ – i.e. toasting with drinks – or the sense of anarchic ‘misrule’, such as that still seen in seasonal pantomimes, or even pubs on Christmas Eve, have their origins in these earlier forms of celebration. Indeed, if you were not getting drunk and disorderly at Christmas in medieval times, you weren’t doing it right. That entrenched sense of misrule and jollity was not welcomed by the rise of the Puritans, naturally, and their resistance to such frivolities saw Christmas, incredibly, actively banned in 1647 (in the wake of the deposing of Charles I), to much protest. It would not return until the restoration of the monarchy with Charles II in 1660. Even so, the festival had been damaged, and the eventual rise of the industrial revolution, which took many families out of the country and into the unforgiving rigours of the factories, saw the decline of many Christmas traditions, to the point that in the late 1700s and early 1800s, The Times newspaper didn’t see fit to even mention Christmas in at least twenty of its supposedly seasonal editions. The arrival of Prince Albert into Queen Victoria’s life around 1840, brought with him many of the still vibrant Germanic Christmas traditions – not least the Christmas tree – the popular portrayals of which inspired a strong revival of the festival in Britain, something strengthened further by the publication of Dickens’s seminal and still quite wonderful A Christmas Carol. Many elements of what we now see as the ‘traditional’ Christmas – cards and crackers, etc. 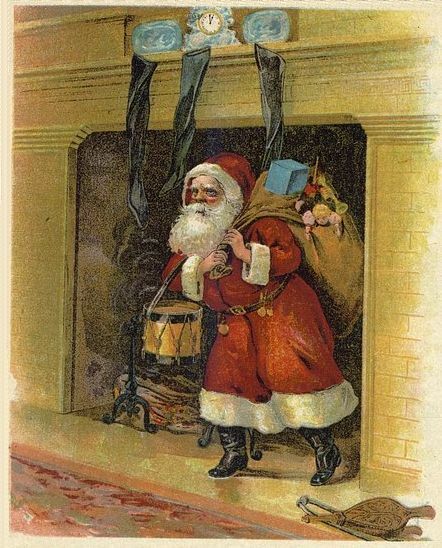 – began around this time, and the Santa Claus mythology also started to solidify its own fascinating (and long) evolution from the Norse god Odin to the amalgamation of the Green Man, Old Father Time, St Nicholas and God himself that we know today. In essence, we still celebrate the Victorian Christmas, for all the echoes of more ancient times. After the Second World War – with Germany, which had set so many of the traditions in the past, having to reconstruct itself in fundamental ways – the USA, now booming, took the lead in founding many of the modern seasonal trends, and a more affluent society saw the rise of an increasingly commercial Christmas. Overly-rampant commercialisation and the horrors of the arrival of ‘Black Friday’ shopping riots, with all the other attendant strains of preparing for Christmas, have created an unfortunate negativity towards the festival in recent years. This seems a shame, and it becomes us all to perhaps make a separation between the abuses of the season and the true meaning of its symbolism. The little plastic stars can still remind us that this time of year was always about the return of light, either genuinely or metaphorically, along with the acknowledgment of the key role that the cycles of nature and the heavens still play in our lives – something we forget too easily in the trappings of our technological world. 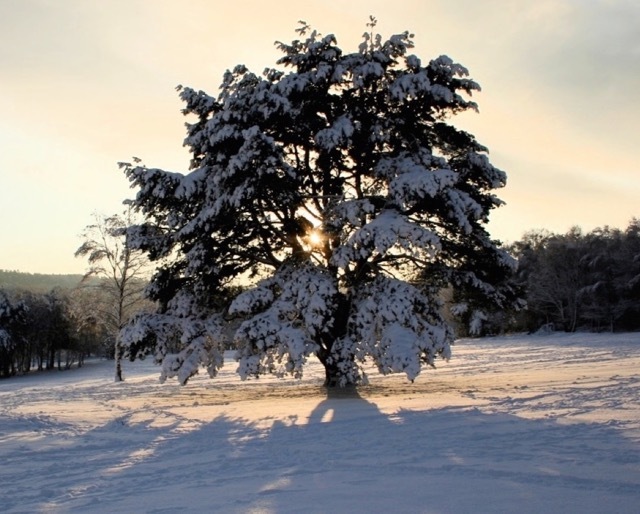 The idea of a long, dark winter without Christmas would in truth be unthinkable, however much some people might think otherwise. Humankind created the festival because it needed it, and when Puritan authorities took it away, people fought to get it back. If it were taken away again the protests would begin soon enough. Clearly, we still need Christmas now. Ultimately, Christmas comes down to it being what we choose it to be. Sometimes, on the day itself, we don’t always get to be where we would prefer to be, granted, so do what’s necessary but then have the Christmas YOU want, even if it’s just through finding a place in your heart, in some quiet moment of your choosing, to reflect on what we are really marking when we celebrate at this time of year. 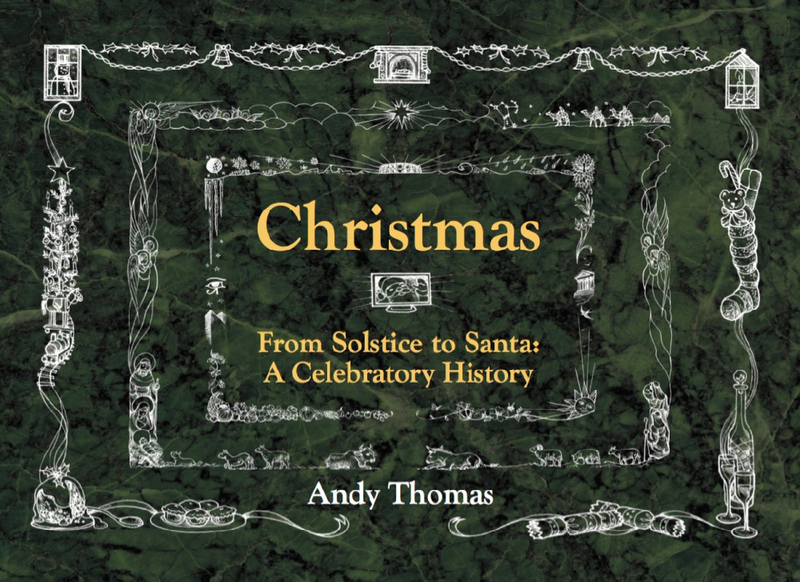 In 2017, Andy produced the (currently) limited edition book Christmas – From Solstice to Santa: A Celebratory History, which covers these areas in much greater detail, as inspired by his annual seasonal presentations. Click the link for details of how to obtain the book.